Nanomaterial has been employed as an alternative to antibiotics, diagnostic tools and delivery of therapeutics. In particular, nanomaterial has grabbed the attention of researchers due to their antimicrobial properties due to the emergence of multi-drug resistance of several micro-organisms. 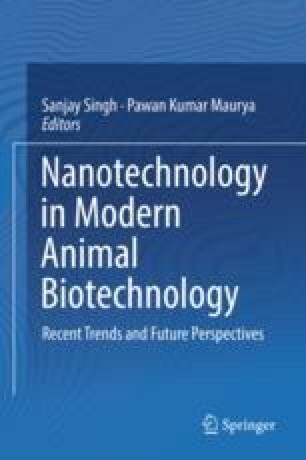 The present chapter highlights the antimicrobial nanomaterials with their mechanism of action along with their broad spectrum applications such as silver nanomaterial is antimicrobial in nature and is effective in drug delivery. Metallic, non-metallic and natural/ biodegradable nanomaterials have been discussed as potential antimicrobial and their mode of action. The mechanism of antimicrobial nanomaterial is poorly understood, but oxidative stress, non-oxidative action, inhibition of cell adhesion, decline in biofilm formation, obstructed quoram sensing and metal ion release are attributed to be as the major reasons. In addition, the limitation and toxicity with the clinical and environmental applications are also described. Authors Taru Aggarwal and Ridhima Wadhwa have been equally contributed to this chapter.